Bellagio on Venice Island is a community where single family homes built between 2000 and 2004 are typically among the properties offered in the Venice real estate market. Besides being relatively new, these residences are predominantly built in the Mediterranean style, the same design that provides character to the city of Venice. Notably, the northern Italian renaissance style that dominates the architecture of the city’s vintage buildings is being meticulously preserved to maintain the charm of the city that in the end lends much value to Venice real estate for sale. This is accomplished through a city policy enforced by an Architectural Review Board which ensures that any renovation or new structure in the designated Venice Historic District is in harmony with the area’s original design. With this thrust, downtown Venice has been officially named as a Florida Main Street City, further contributing to the allure or properties in the locality of the Bellagio real estate. Endearing finds of Bellagio properties in listings of Venice real estate for sale can include court yard homes with floor areas ranging from 1930 square feet to around 2,000 square feet. A residence constructed in 2003 with about 1,700 square feet, three bedrooms and two baths can have a quoted price of around the low $400s. The tag price approaches the upper $400s mark for 2004-built Bellagio homes for sale with 1,930 square feet of floor area, three bedrooms and two baths. Choice properties available in Bellagio on Venice Island are move-in ready and come complete with furnishings. 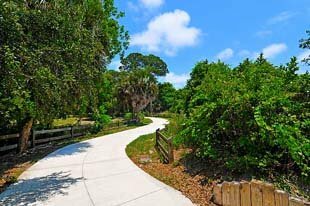 The community’s facilities can likewise fully satisfy the lifestyle sought by most home buyers, with such amenities as a clubhouse, a fitness center, tennis court, a swimming pool, and a nature trail. It is also possible to find homes in the community that conveniently back up to the Venetian Waterway Park which was part of Venice’s beautification efforts near the Tamiami and the Intracoastal Waterway (ICW). This ten-mile long park has eight-foot wide lanes that aren’t only ideal for workouts in biking, running, and walking. These pathways can also provide easy access to the superb venues for shopping, dining, and entertainment in downtown Venice. Also thanks to the community’s strategic location at the Rio Terra and Calle del Paradiso near Tamiami, the Bellagio residents are practically only a few minutes’ walk away from places like the Shogun Japanese Steakhouse and the Venice AMF Lanes. Nearby art galleries nestled along the shady, tree-lined avenues further add to the lifestyle delights around this Venice neighborhood. 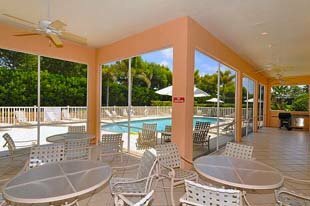 The fabulous beach attractions of Venice are likewise only a short distance away. Some of these top draws include the Caspersen Beach, where local Shark’s Tooth Festival gravitates, and Sharky’s, a favorite local seafood restaurant that too has become a tourism landmark for Venice. Below are all of the current real estate listings available for sale at Bellagio.